Thanks for your blog. Beautiful. 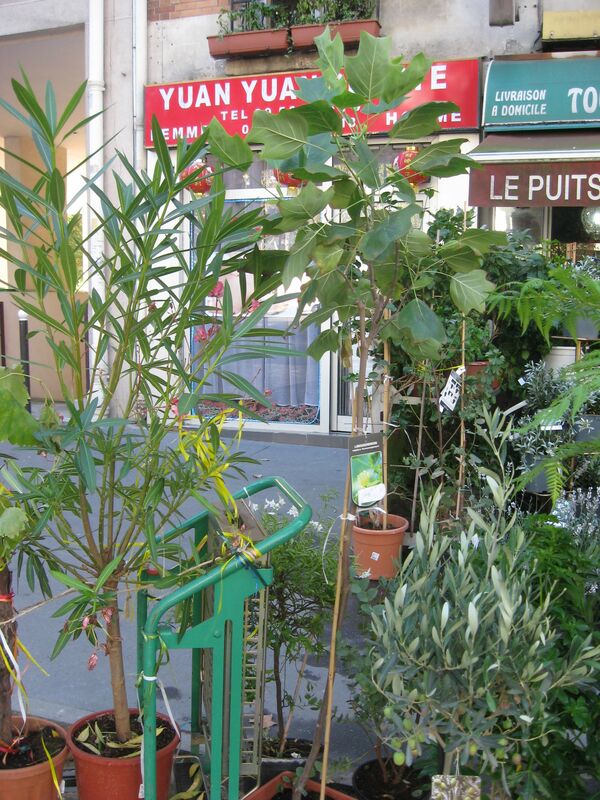 I often think how lovely it would be if I could plant trees on the sidewalk, or at least in my sidewalk. Do you happen to know how we can do that? Which department gives authorization for that? 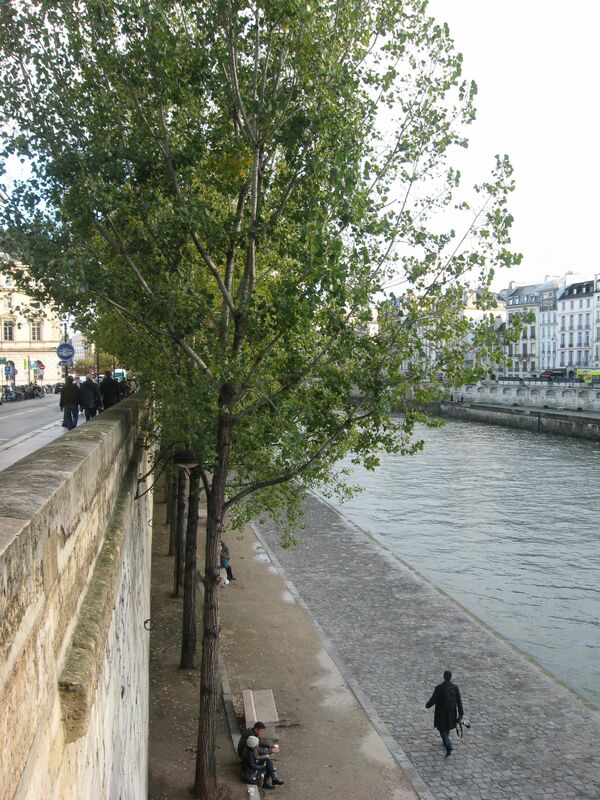 How do they water those trees? Elizabeth, contact your parks Department or streets department in your town or city. Usually they will have a list of approved trees and you may have to buy the tree or you may find an organization that can donate the costs. Sometimes unlucky folks will have sidewalks that have too many issues such as multiple gas lines, pipes etc. and trees will not be allowed to be planted. Hopefully that is not your case. HELP… I’ve just come across your page. We’re fellow Philadelphians, in Paris for a bit. And we’ve got a son in school here. He has a class science project where they need to identify leaves… but we’re coming up blank on one particular variety (elliptic with a “whole” margin (no teeth), alternating leaves, small point at the top and no heart shape at the bottom… all of which says to us beech… except it also has a white-gray, willowy bud (even though it’s fall) and what looks like a small, cranberry sized berry or nut, growing out of a green shell). Any idea what that could be? You can write me at the regular address, if you like, and I can send a picture… project is due tomorrow!!! 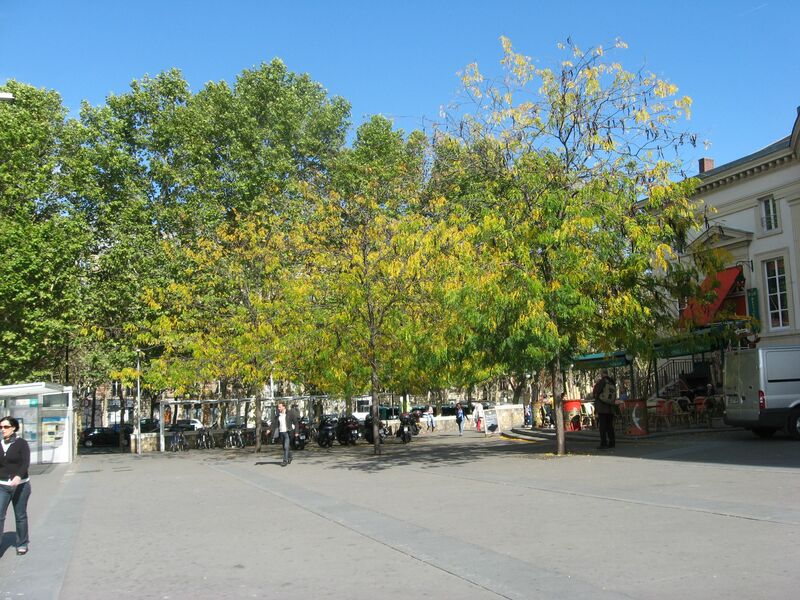 the first time i went to paris in 1988… i remember some very beautiful trees of a lavander/lilac hue..en -masse..these seemed to grow tall by apartments sporting stripey awnings in february sunshine.. i dubbed it tree of heaven! 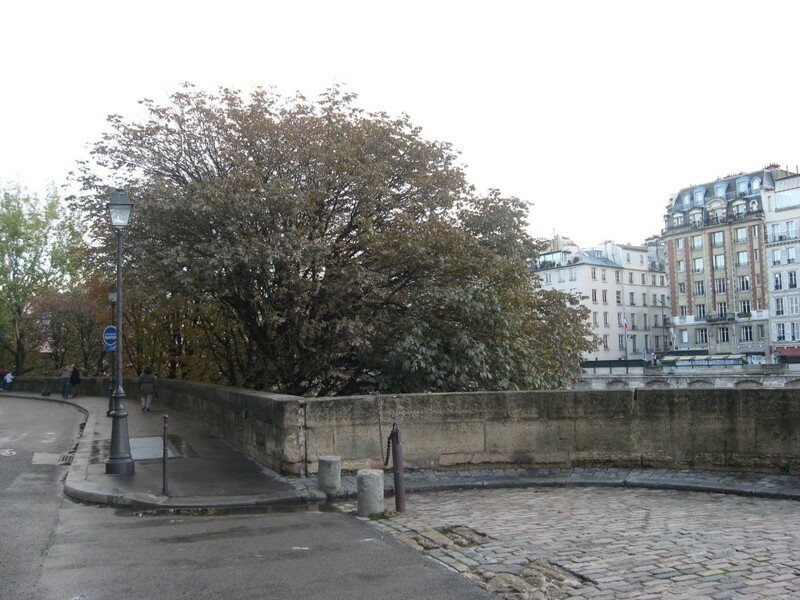 because they were so gorgeous and i had never seen such a tree in february… back home in ireland.. i saw the trees from a train window, when travelling from le havre to paris… somewhere in the middle. 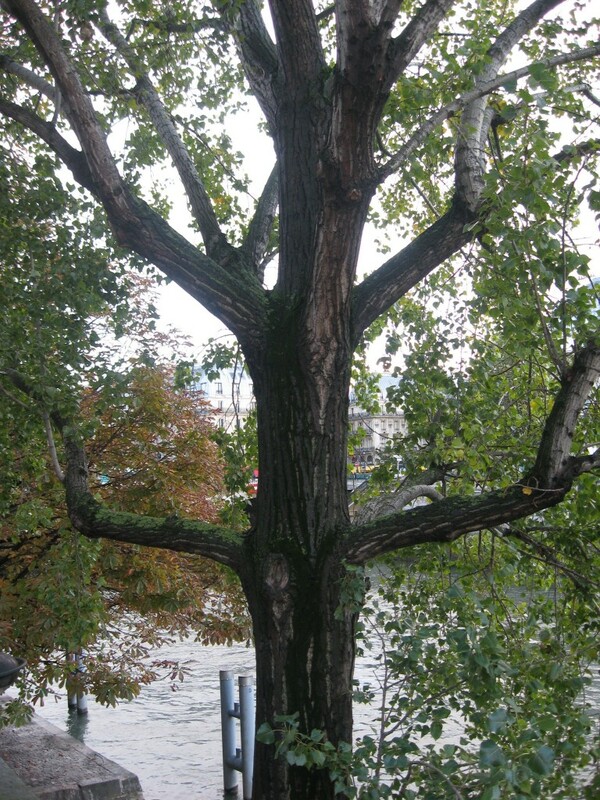 the only tree i find online that (to me is it) is acaranda…. 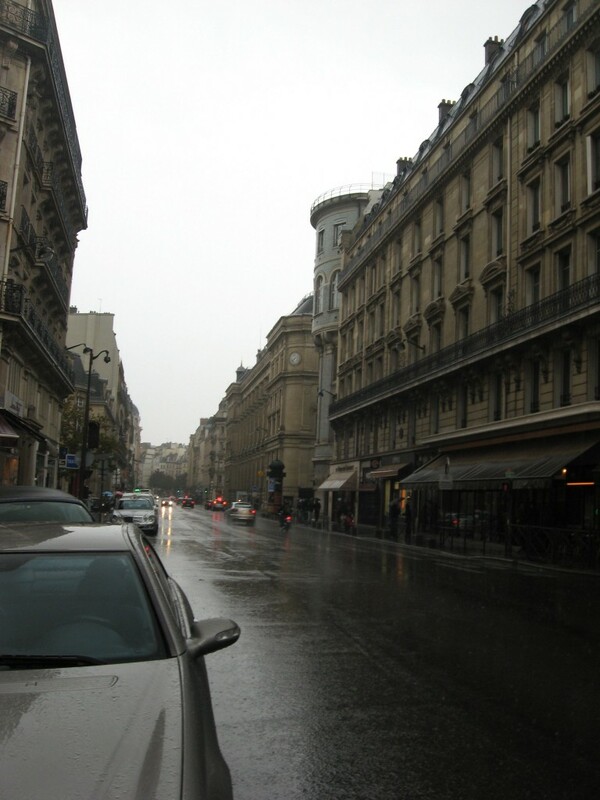 but since this originates in south america and thrives on heat… would that be possable in northern france in february? and advice appreciated. 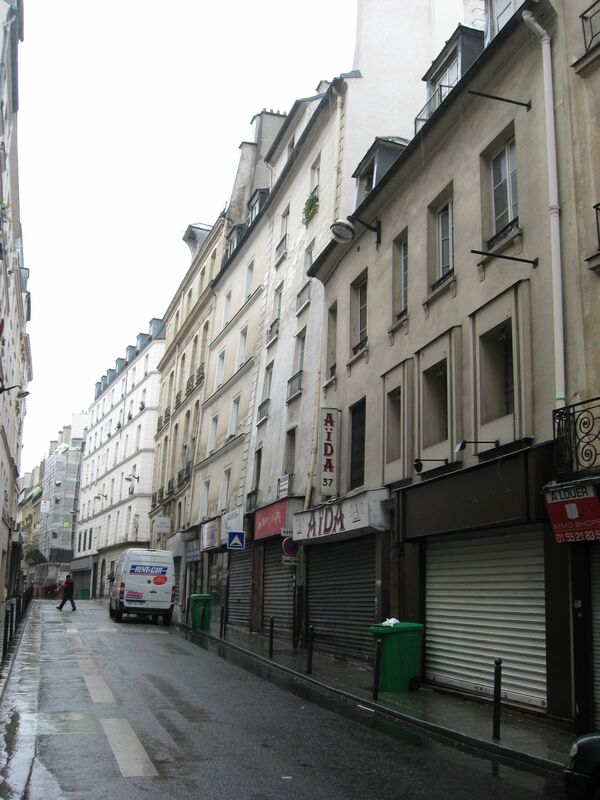 I, too, am writing a book which has an important section in Paris. 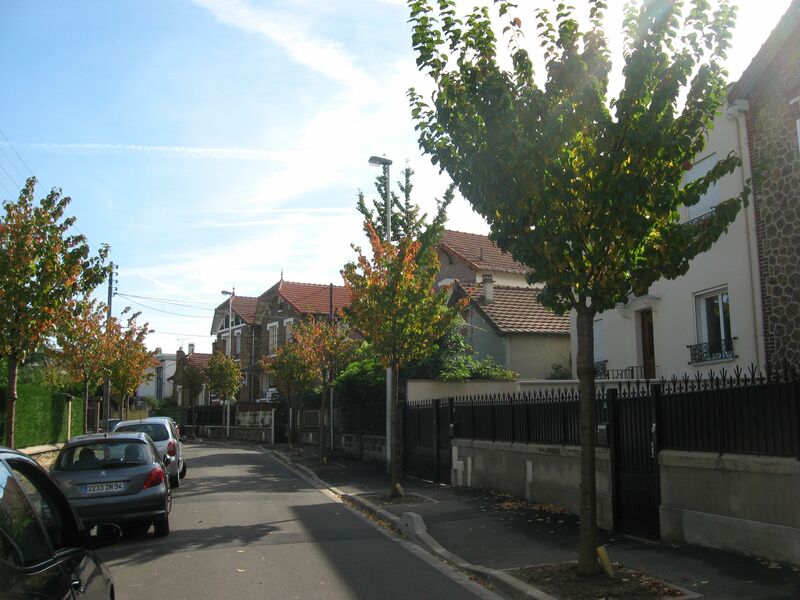 I am also describing and identifying trees in my book, to create a sense of place. I was in in Paris last July, so I did not see the Horse Chestnut trees in bloom. 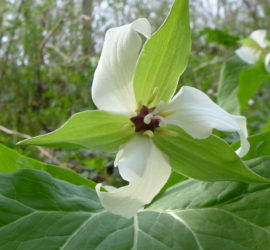 I would appreciate it if you could help me with the following questions about the colors of the flowers when the trees are in bloom. 1. 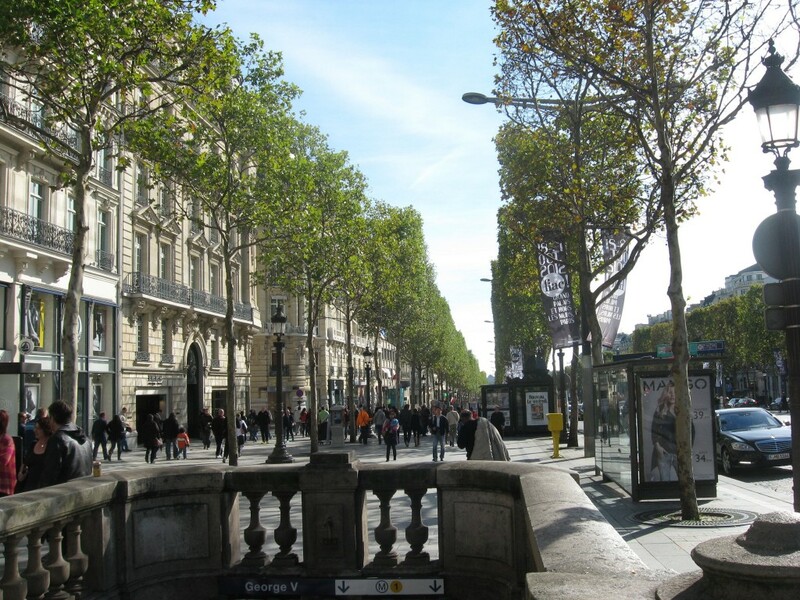 What are colors of the flowers of the Horse Chestnut trees lining the fashionable Avenue Montaigne, and in which month do they usually flower? 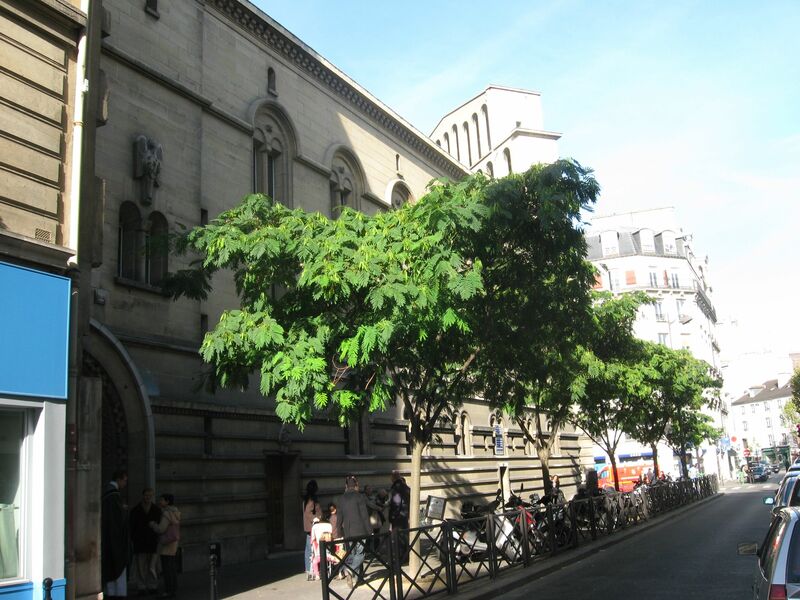 The area of the street of interest are the chestnut trees across the street from the the Plaza de Athenee Hotel which houses the Alain Ducasse restaurant. 2. 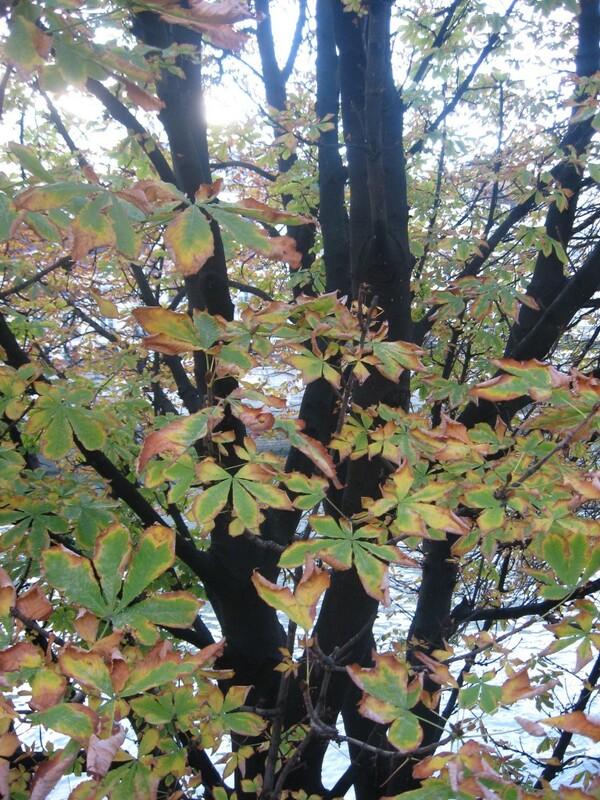 I am also interested in what color the flowers of the chestnut trees are in in the Parc Ranelagh, and when they usually flower. 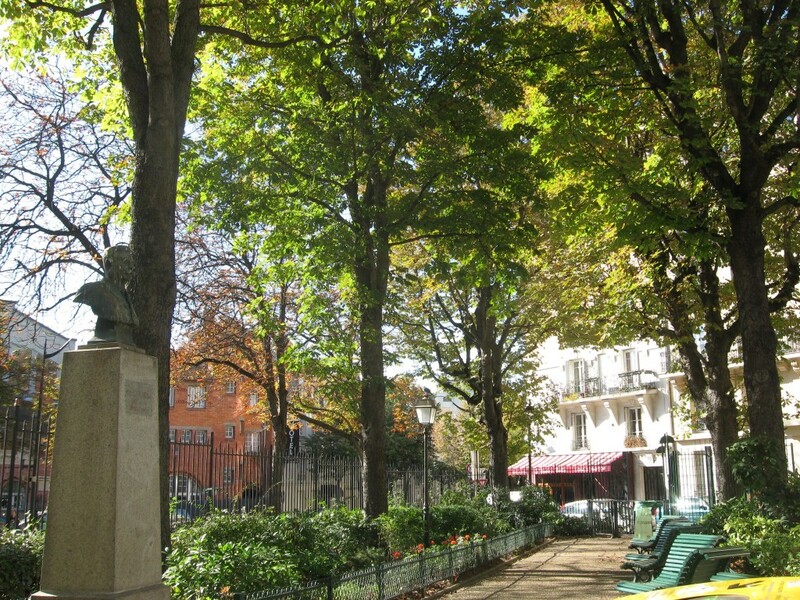 The Parc Ranelagh is elegant and quiet and near the Musee Marmottan. 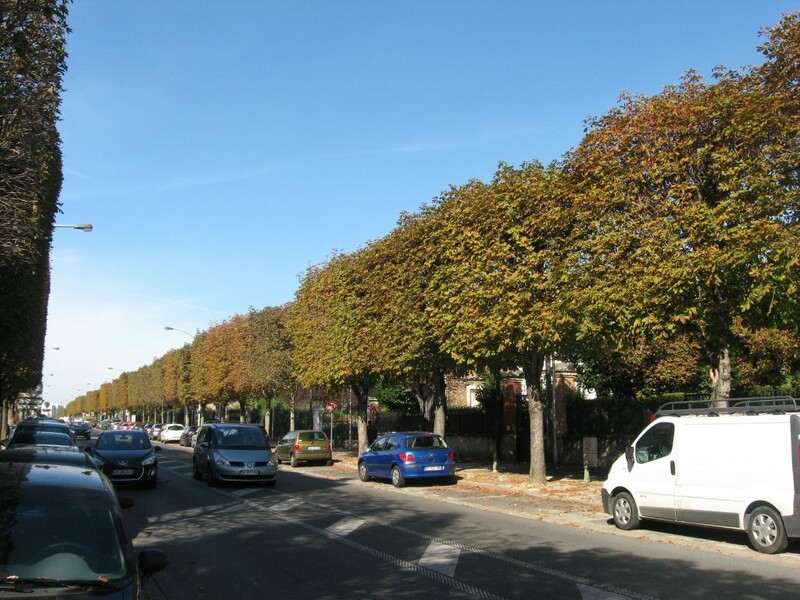 There are at least two edges of the Parc Ranelagh which are lined with double rows of what seem to me to be relatively young chestnut trees. Very well written article and beautiful photos. 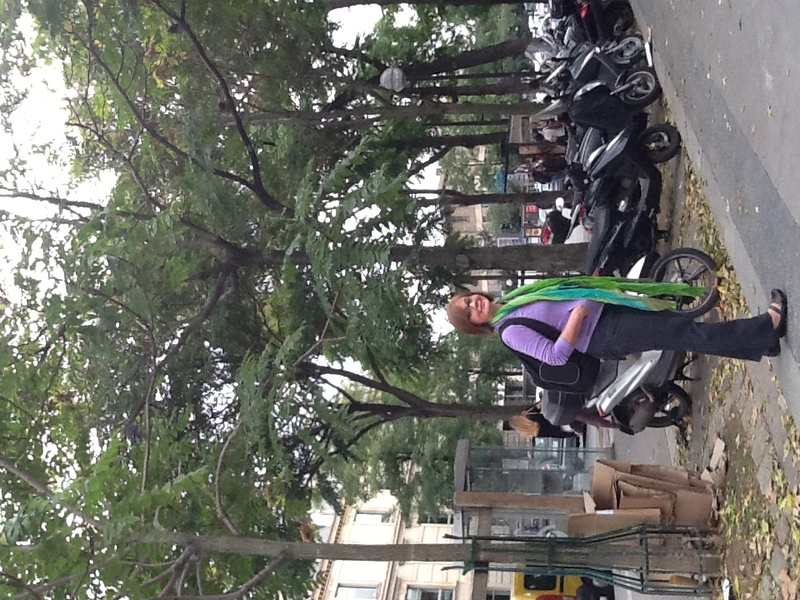 Sitting in India, for a moment I found myself breathing in Paris. Well done, please continue writing. Thank you Manan for your kind comment! 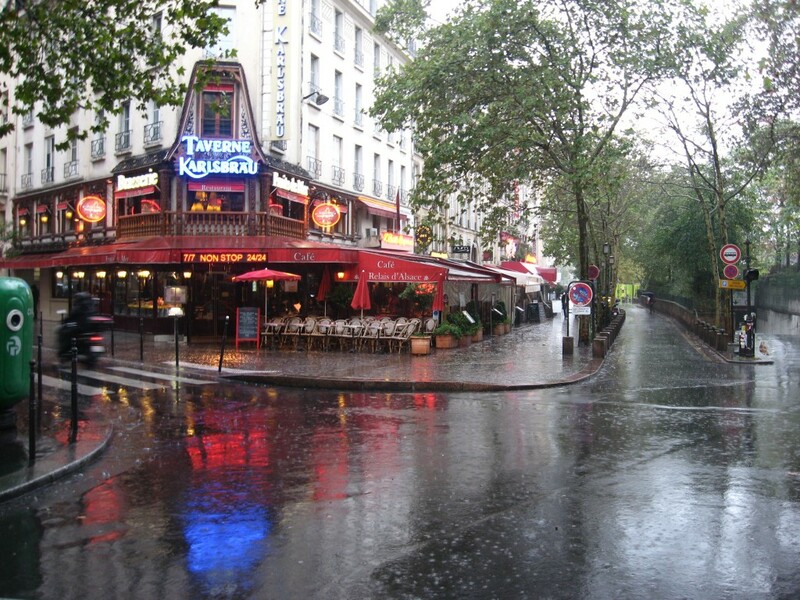 We will keep writing and we always write about Paris! 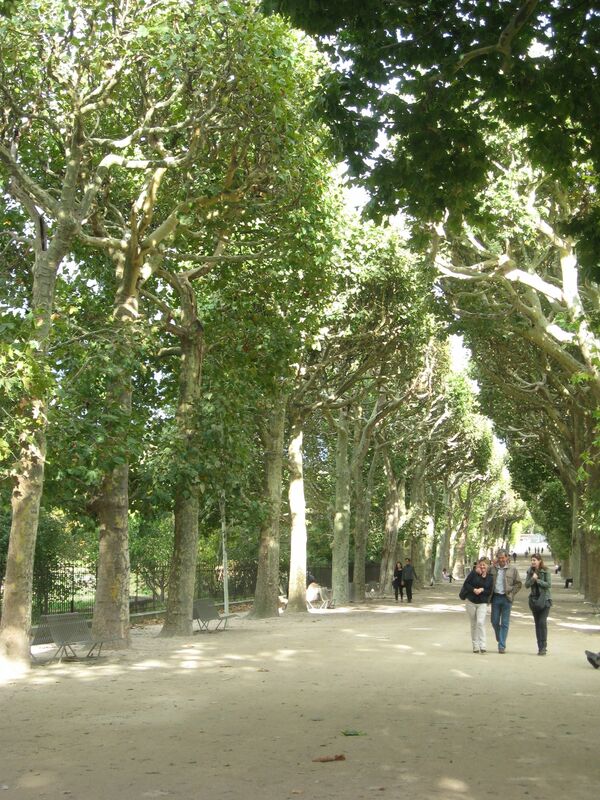 The reason behind my interest in Paris trees is that I am writing a series of short stories which take place in Paris and though my stories are fictional, the setting is very real and I want to be as exacting as possible with details like, for example, trees. 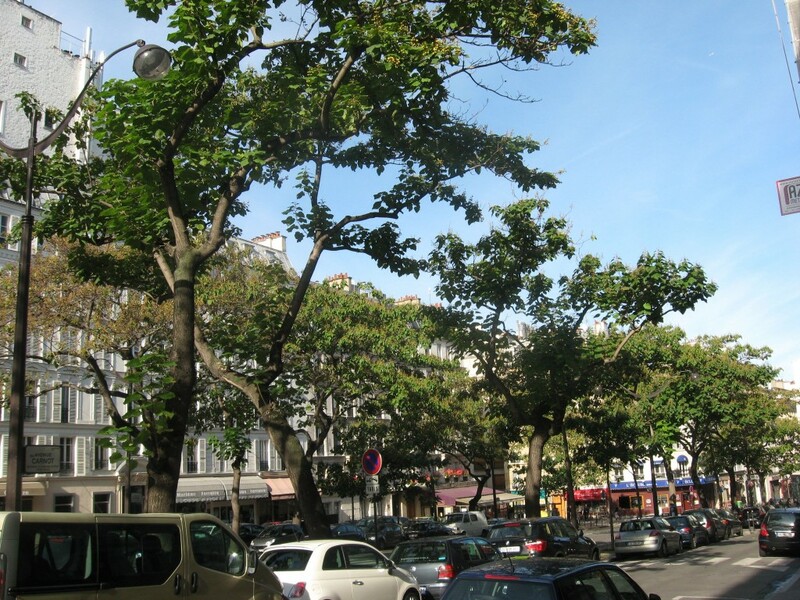 What genus of tree lines Boulevard Raspail near the Notre-Dame-des-Champs metro station? Thank you in advance of any help offered!!! 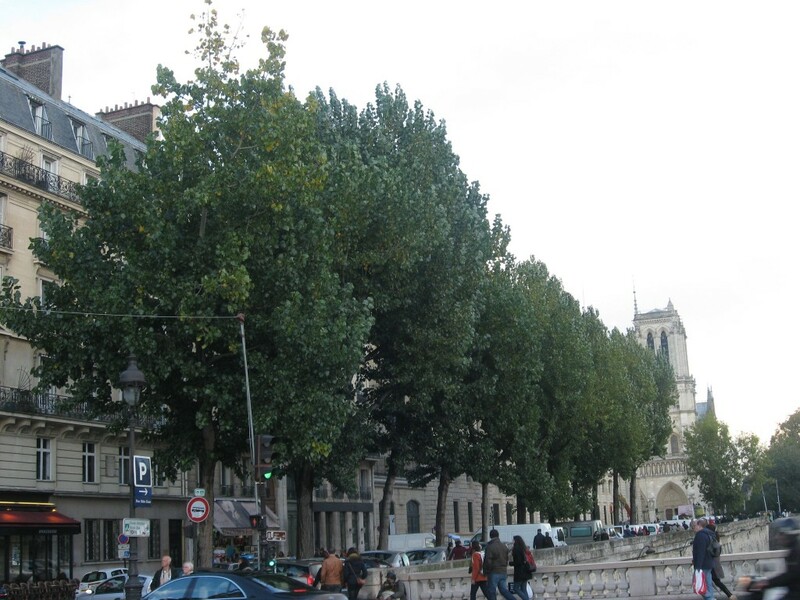 Elizabeth, Along the Av.Anatole France next to the Eiffel tower are London Plane trees (Platanus x acerifolia), however there are other types of trees in the park. 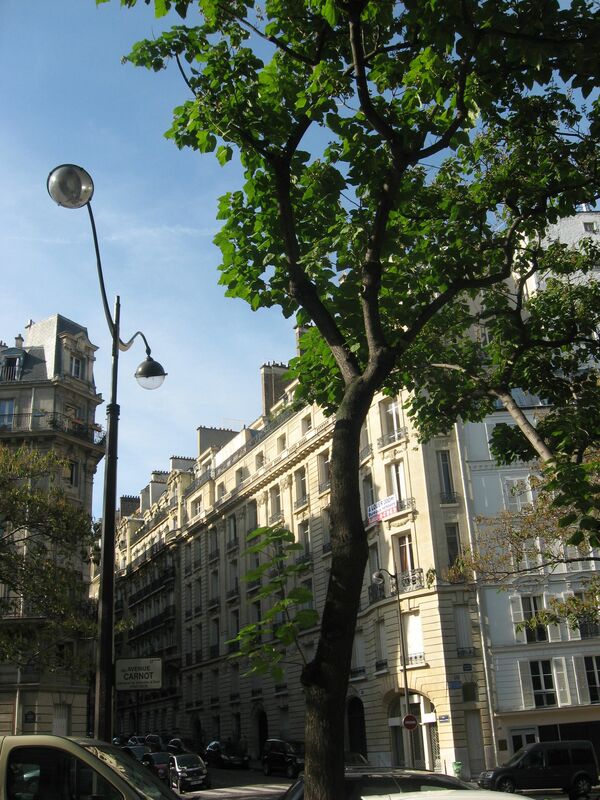 The Ave Anatole is the most prominent one, leading up to the tower.If you have any pictures of the trees around Ave Raspail near the Notre-Dame-des-Champs metro station, please send them to me and I can try to identify them, because I cant find any of my own. 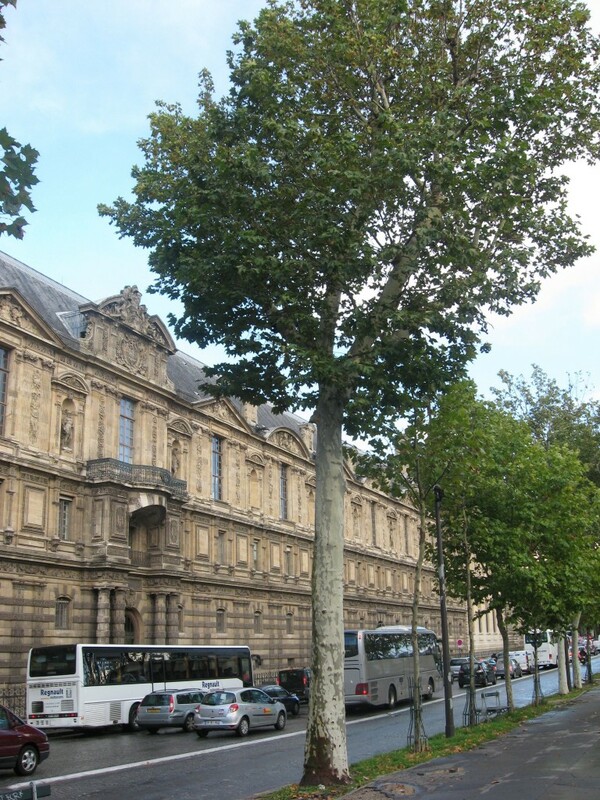 Usually Paris boulevards are London Plane or Horse-Chestnut and the third most common one is the Linden tree. It is great that you are including the details of the trees in your story! Moving to Loire Valley. Have a South facing house. 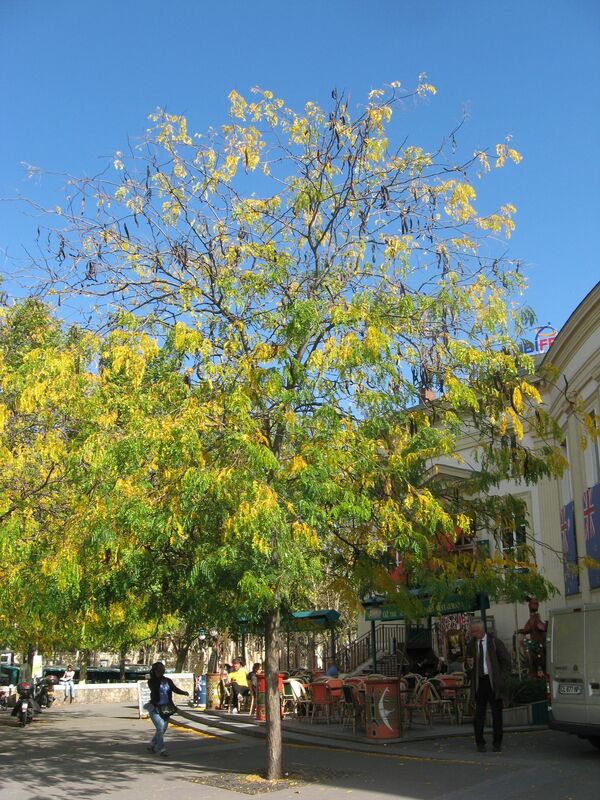 Would it be possible to grow a jacaranda tree successfully? 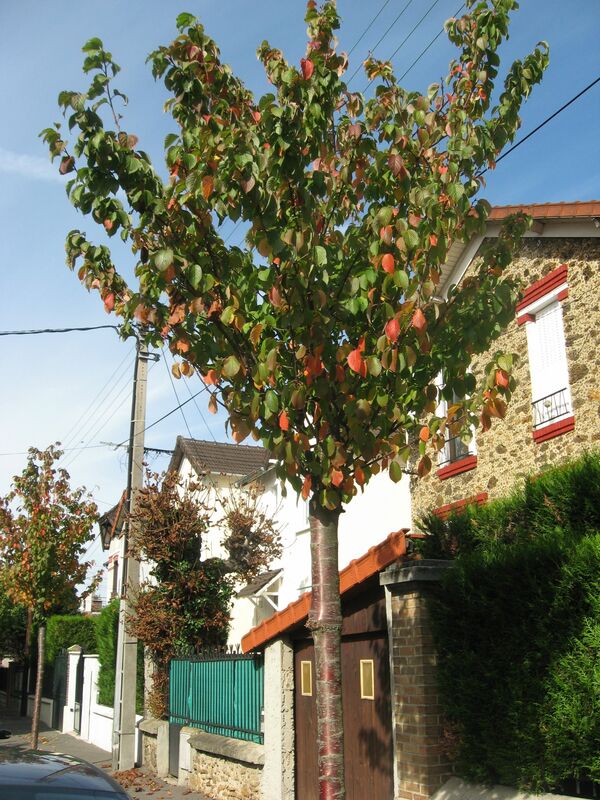 We’re also in the Loire Valley and would like to plant a Jacaranda. Did you plant one? Wa it successful? 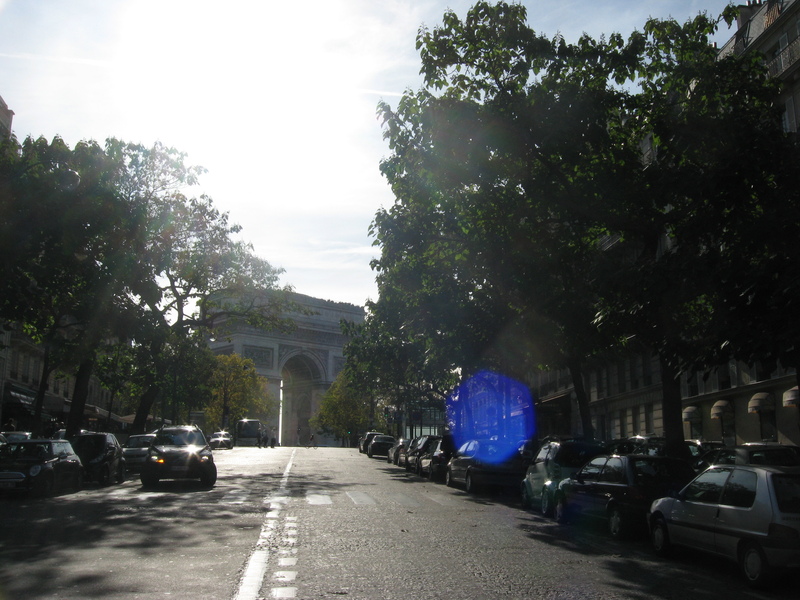 Missed the trees we saw last month in Paris along Carnot, leading to Arc de Triumph. 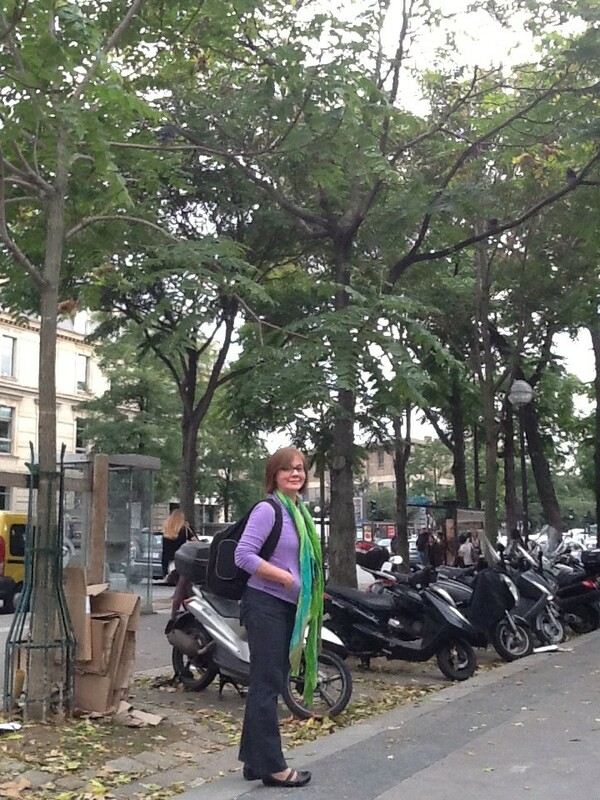 They were beautiful tall trees lining both sides of the street, with large purple flowers very similar to purple lilacs. We could not find anyone who could tell us what they were. Can you? David, Great question! 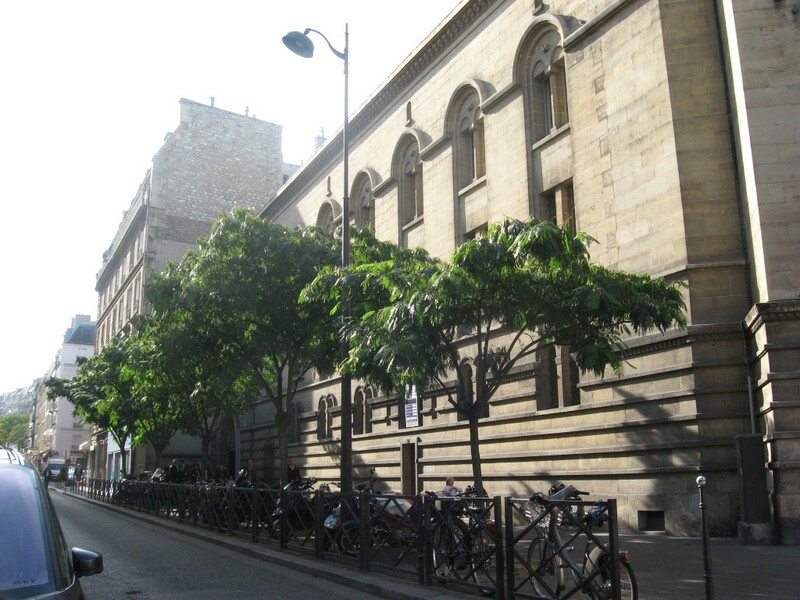 Isabelle and I walked up ave Carnot last Fall and took a few pictures of those trees, which are featured in the middle of this article. They are commonly called the Empress Tree and the latin name is Paulownia tomentosa. What a beautiful sight they must have been all in full bloom! Unfortunately, this asian native which was historically planted as a street tree, has become a problematic invasive and has adapted all too well to the urban environment. 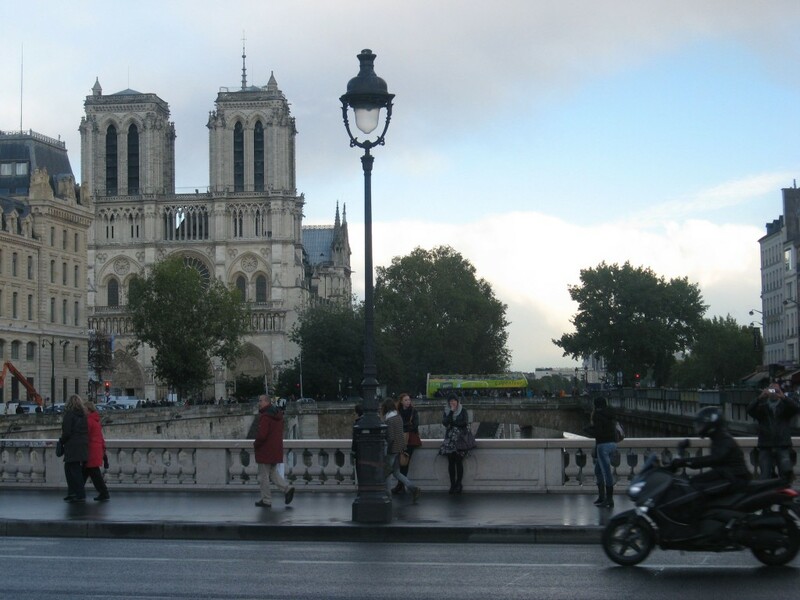 What a wonderful trip through Paris!!! It is indeed a beautiful city! 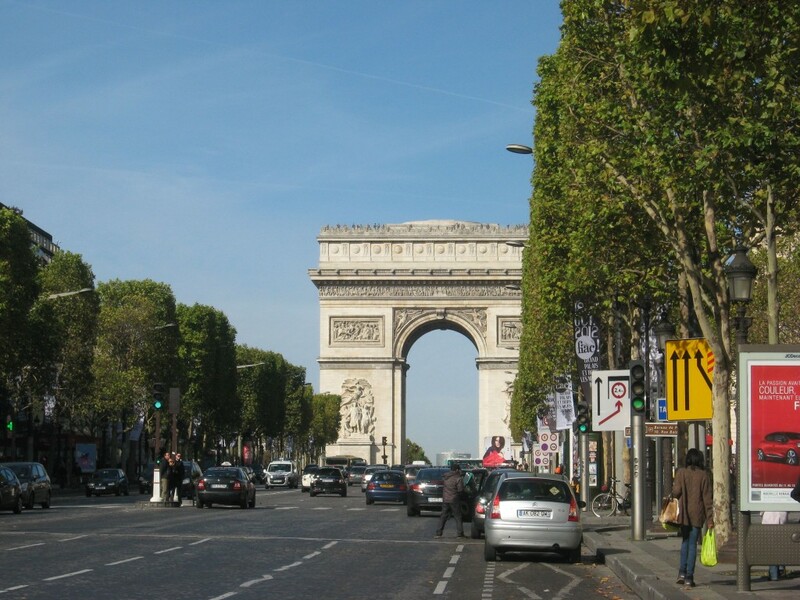 Thanks Connie, Paris is a beautiful city. 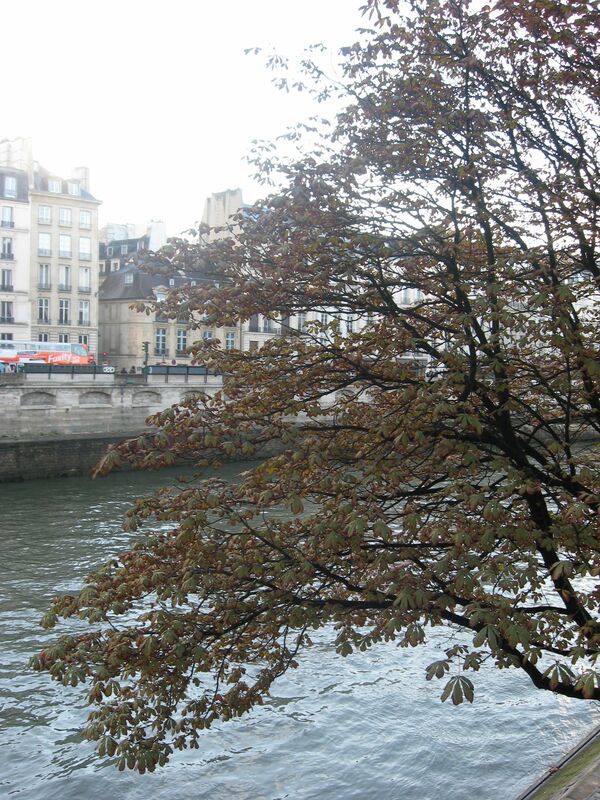 You can almost touch Paris in the beautiful pictures. I so wish to go one day!! Joyce, thank you! 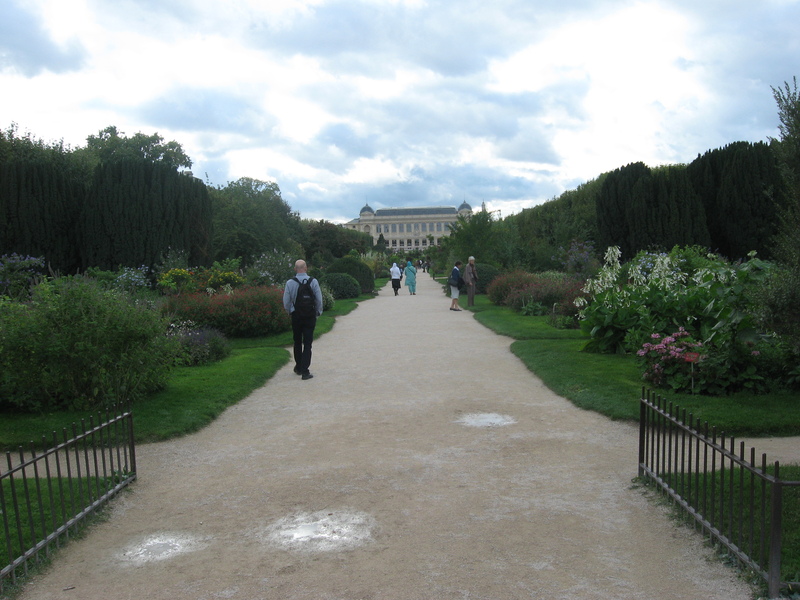 You should visit Paris. 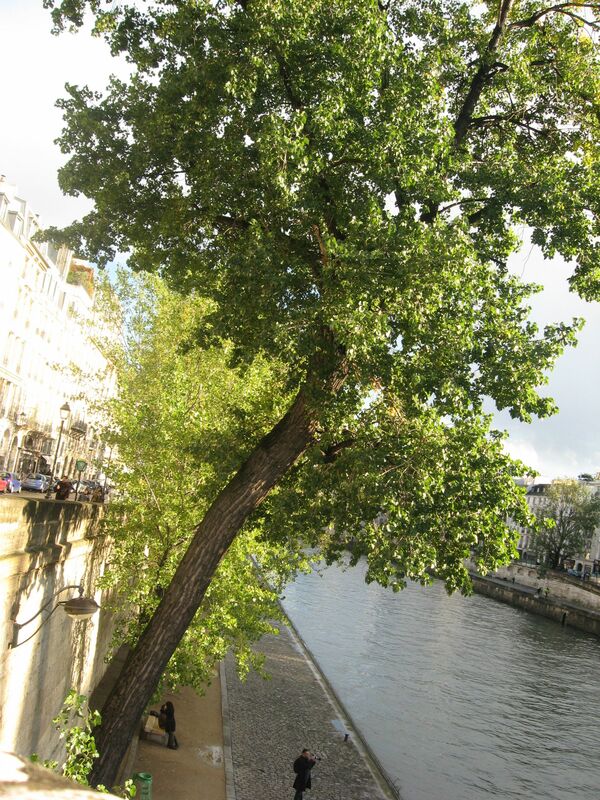 A delightful tour of Paris – that Empress tree is especially gorgeous, but your entire tour was a real treat. 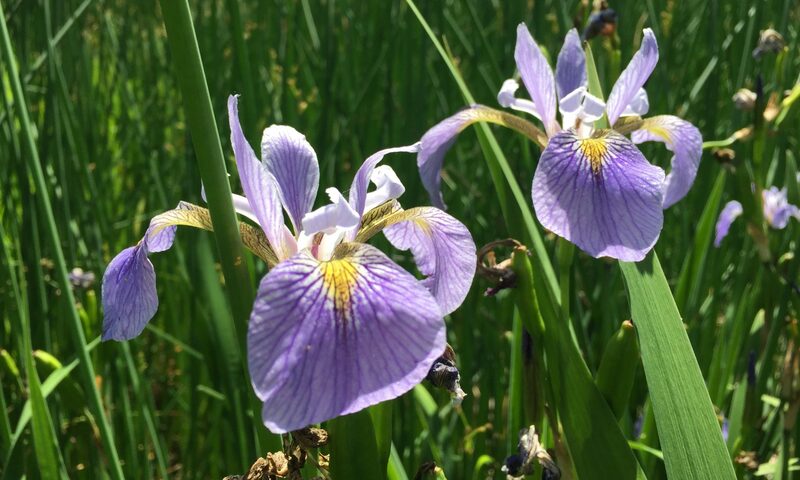 The blooms of the Empress are also eye catching. Mike, it would be interesting to hear your perspective of the City if you visit. An excellent tour. I’ve never been, but this definitely gives me some insight into the city. Thanks for this article. 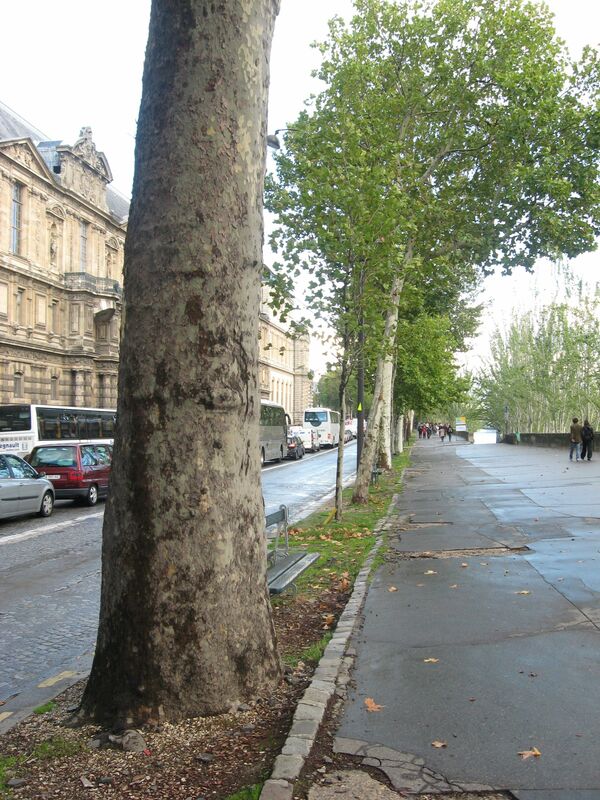 This is the only place I have found reference to plane trees on the Champs Elisee. Nice photos and lovely trees.